The Memorial Day and August 1st storms of 2013 did significant damage to our trees in Clay County. This workshop is designed to provide demonstrations on pruning techniques, what to look for, and learning how care for your storm damaged trees in future years. There is no charge and all are invited to attend. Please spread the word as many trees were damaged last year! It didn’t take long for the phrase “there’s an app for that” to be seen and heard regularly in the phone and mobile device world. Today, there are many apps and mobile websites that can be fantastic tools for producers to use in decision-making. University of Nebraska Extension has developed several mobile apps to take a look at and be sure to visit our site often to learn of additional new apps. In addition to our Extension Apps, Dennis Kahl, UNL Extension Educator, and I have also compiled a list of a few mobile apps that we think could be useful to farmers yet this year as they get closer to harvest, but also for next year to test out and see if they will indeed help them do work quicker and make decisions more accurately. Today we are going to highlight a few mobile applications and mobile websites that producers may be using now as they make preparations for fall harvest. UNL CropWater – provides an easy way to estimate soil water status based on Watermark sensors installed at depths of 1, 2, and 3 feet. With these sensor readings, the Crop Water app will estimate the water used as well as what is still available for Nebraska soils. Market Journal – Television for Ag Business Decisions. Weekly crop reports, markets, weather and current insect, disease and harvest issues. It was also listed at Agriculture.com’s #1 ag app for 2013. RealAgriculture – focuses on the issues that are impacting agriculture. The site is focused on getting farmers the opinions on issues so that you not only get the news but the insight into what the news means in the production business. DTN/PF – The Progressive Farmer – provides market data, link charts to market data for single, seamless view of how the latest prices correlate with current market trends. Farm Progress – Keep up on local ag news, grain and livestock markets, enhanced weather and blogs as well as Nebraska Farmer magazine. Husker Harvest Days Show – Maximize your time at Husker Harvest Days with this application that includes exhibitor and category lists, show maps and other tools to help you maximize your time at the show. Ag PhD Harvest Loss Calculator – Allows farmers to estimate yield loss before and during harvest by recording the number of individual corn, soybean, wheat, sorghum, barley or oat seeds found on the ground in a square foot. Combine Performance Optimizer by John Deere – Help operators adjust and set the critical settings for next year’s harvest of small and large grain crops to improve machine performance. Calibrate My Sprayer – Aid in the proper calibration of spraying equipment. In addition to the apps listed above, Crop Life featured a story of the Top 13 Mobile Ag Apps for 2013 and Agriculture.com has a list of mobile apps. Take a look at these as well. For information on some of the newest technology, visit Innovative Tips for Rural Communities blog. If you are interested in staying up-to-date with crop information be sure to subscribe to and bookmark cropwatch.unl.edu and subscribe to Jenreesources Extension Blog. Special thanks to Dennis Kahl as a Guest blog contributor to this post! Great opportunity for anyone involved with small business and entrepreneurship to learn more about engaging people and linking to the world via the Broadband webinar series! Check them out! 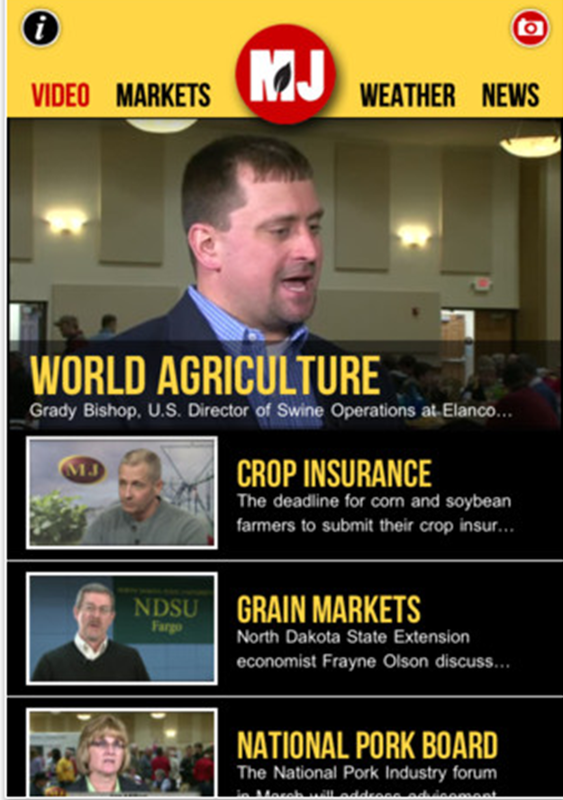 This week I saw an article from agriculture.com that had ranked UNL’s Market Journal app as the Number 1 agriculture app! I’ve also felt it was the best ag app from UNL providing markets, each week’s show segments via YouTube, weather, and all the CropWatch articles in a one-stop app. So being snowed in right now, I thought it would be a good time to share some new apps developed by UNL. 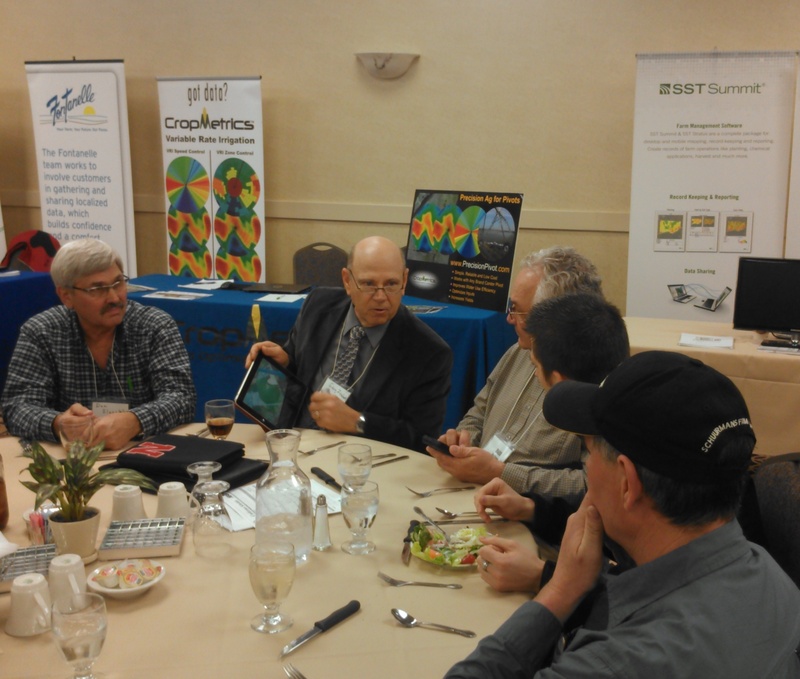 The newest ag apps are for livestock. 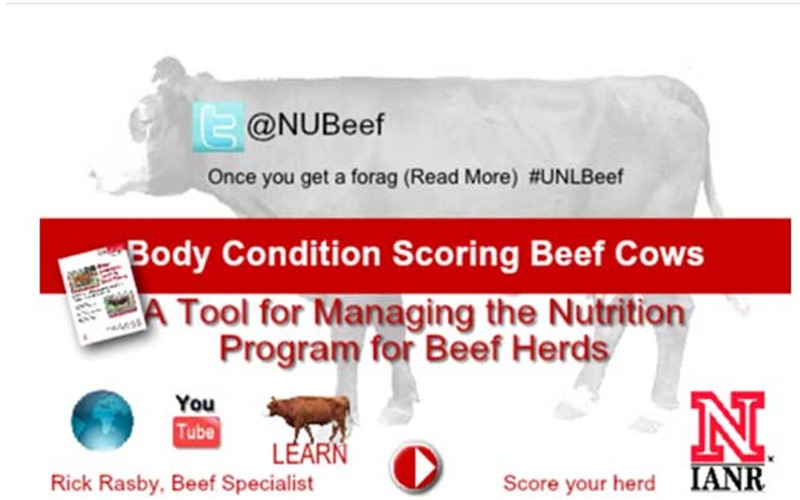 Some of you are in calving season and UNL Extension just released the NUBeef-BCS (body condition scoring) and NUBeef-Anatomy apps that may be helpful. They are available on the Apple App Store and will be via Google Play shortly. NUBeef-BCS allows producers to visually assess their cow herd using a number system that objectively describes the amount of condition or fat reserve of the animal. Body condition score describes the relative fatness of a cow based on a nine point scale. When using the NUBeef-BCS app, producers can simply take photos of their beef cows and then score cows at important times throughout the year, such as at weaning and before the start of calving and breeding season. Taking pictures of the same cow multiple times throughout the year allows producers to better manage the herd according to Rick Rasby, UNL Beef Specialist. He said one of the challenges during winter is producers want to score body conditions, but cows have their winter hair coats. The app includes drawings of cows in different body condition scores that also can help with that. An added component to the app is an education component and is designed for instructors to use at all levels-from high school, junior college, and four-year colleges. The app has a group of cows that have already been body condition scored that can be pulled up and used to practice scoring. The NUBeef-Anatomy app provides visual and text information about the muscles and bones of the beef carcass. The user can navigate through the carcass by displaying cross-sections and then touch any muscle or bone to display the respective physical and chemical properties. Check out the NUBeef YouTube channel for more info. or watch Feb. 1’s segment of “Market Journal”. A listing of all mobile apps from UNL Extension can be found here. Check out these great opportunities to learn more about social media for your business! UNL Extension in Seward County will be hosting the Social Media & Mobile Technology for Ag Businesses Webinar Series starting on January 17, 1:00 p.m. at the Extension Office, 216 S. 9th St, Seward, NE 68434. This is a partnership effort with Penn State, Ohio State and University of Nebraska Extension. You can register by calling 402-643-2981 or register at http://go.unl.edu/xmd. Note that there is no charge for attending one or all of these one hour webinars if you join me at the Extension Office.